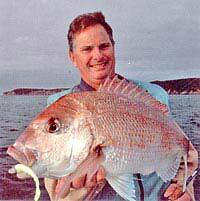 Snapper – New Zealand’s Greatest Fish by Same Mossman. 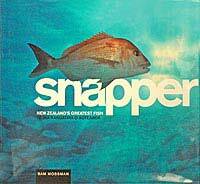 Snapper – New Zealand’s Greatest Fish Published by same Mossman. AUT University Media First published 2008 ISBN 978-0-9582829-6-3 Size: 250 x 270mm, 188pp. Almost all pages are in colour. Also many excellent black and white photographs and line drawings. Hard Cover. This is a genuine coffee table book produced to a very high standard. Though Sam Mossman has written numerous excellent fishing books his latest effort Snapper – New Zealand ‘s Greatest Fish is possibly his best yet. This is a genuine “no expense spared” hardcover coffee table book jam packed with heaps of tremendous colour photographs – few of which you will have ever seen before. Particularly absorbing are the wonderful historic monotone photos of snapper fishing in New Zealand from early last century when catching a really big snapper required nothing more than a strong hand line and a trip down to the local rocks! This isn’t really a book about how to catch snapper; it is more a celebration of what this most sort-after of fishes means to “us Kiwis.” It tells the story of how the early Maori caught snapper (or Tamure in Maori) mostly with nets but also with lines. There is a great chapter about snapper fishing on Ninety Mile Beach in New Zealand ‘s far north. A big snapper fishing surfcasting contest is held there every year. Included in the book are several early photographs from the event dated 1966. The poster advertising the competition that year boosted prizes of more than 600 pounds – a considerable sum in 1966. Judging by the number of cars and people in the photographs the contest attracted enormous numbers of determined anglers. 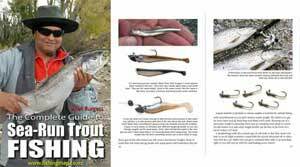 Chapters also cover fish biology, commercial snapper fishing, snapper fishing in different parts of New Zealand, Snapper in Australia, and just about anything else you can think of about snapper. I return once again to the photographs. These alone are easily worth the $59.95 this book sells for. The extensive text is divided into easily digested bite size pieces in a book that will never date and always have you coming back for more. Many anglers will be aware that big old snapper sometimes develops a lump just behind the head. Well, there is a picture of what must be the ugliest such snapper ever caught. It was taken on the Gold Coast of Australia. It has the lump behind its head together with another big one on its nose. Get down to a book shop near you and check it out – that’s one ugly fish! Sam Mossman has been a leading writer at New Zealand Fishing News for many years.